The Museum feasts have a characteristic feature: they combine a performance, a kind of excursion and games. Avery meeting with a wonderful museum world during festive programs becomes a memorable event for all people. It is “a discovery” of beauty. New Year Tree performance is a bright, unforgettable event for a child. 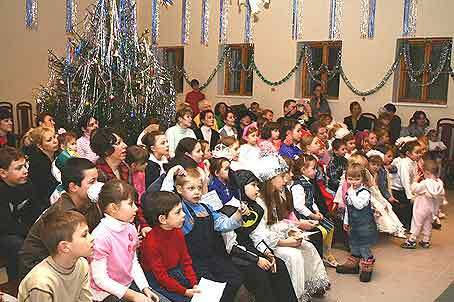 Every year the Museum organizes a chamber performance so that each child is surrounded with the attention of Santa Claus, Snow Maiden and fairy tale images. The children take an active part in the theatre performance, display their creative abilities in games, contests, meet miracles. The first contest homework - is assigned in the invitation ticket. The children’s drawings become decorations for future Christmas performances. Each child gets a present with a traditional souvenir. Shrovetide – is one of the favorite and worshipped ritual feasts in Russian. 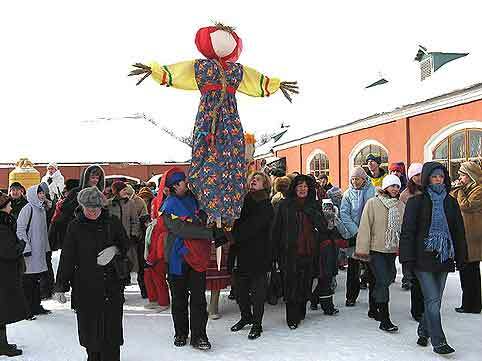 The Sergiev Posad Museum-Reserve, possessing a unique collection of folk art, organizes the festive program on the territory of “The Konny Dvor” on Shrove Sunday of the Pancake Week. 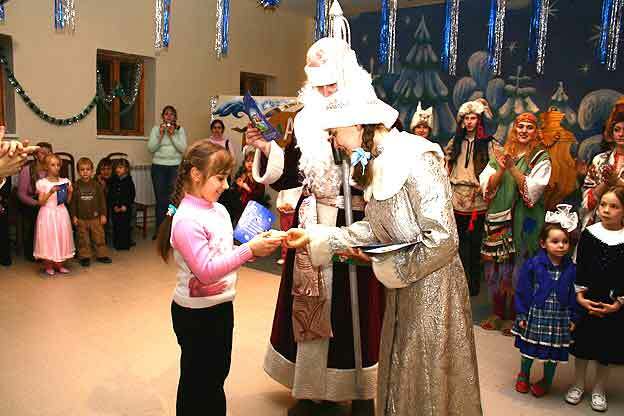 The program includes a journey through the Museum halls, traditional Russian games with dances in a ring and songs, wrestling, tobogganing, conquering a snow fortress, parting with Shrove, festive Russian treat. The festive atmosphere encourages the quests to take part in games, presents the folk cultural traditions and helps to make friends.